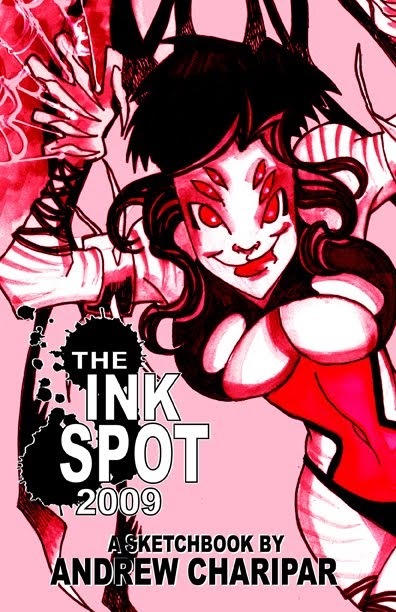 Sketch 052 of 100 is my first Blank Sketch Cover (at least in awhile) for Justice League United issue 0. I combined all 5 of my JLU members sketches (plus Martian Manhunter) to make this happen. Whoo hoo. 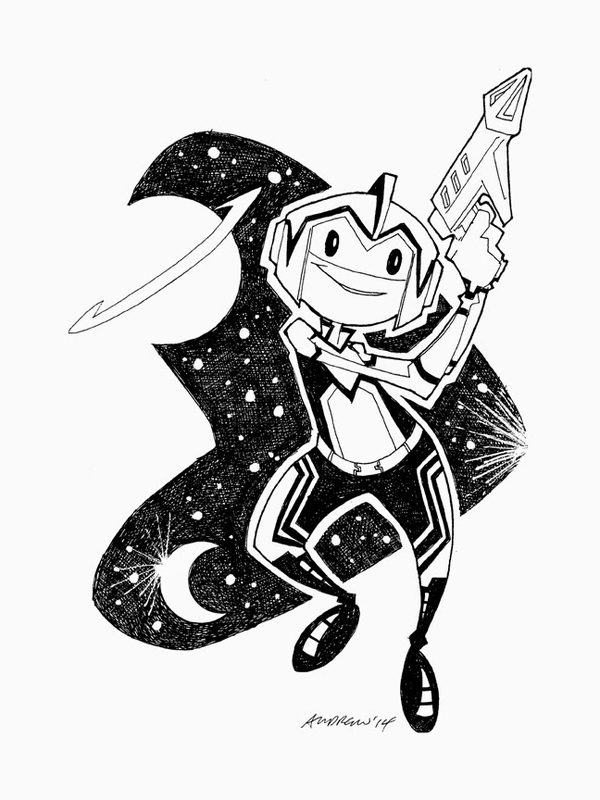 Sketch 051 of 100... JLU's Adam Strange! 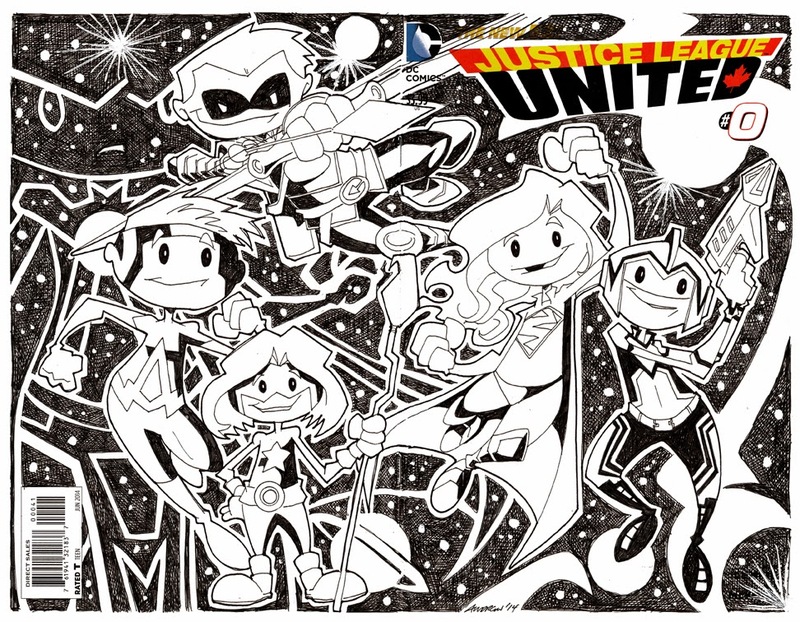 This is the 24th in my 'kid-friendly' sketches and the fifth in the Justice League United theme. With only 47 days to go... 50 sketches Done! Whoo Hoo! I really like the 'kid-friendly' sketches (probably the reason why 23 of the 50 are 'kid-friendly'). Sketch 050 of 100... JLU's Animal Man! I know, I know... I went for super cute on this one... he he he. 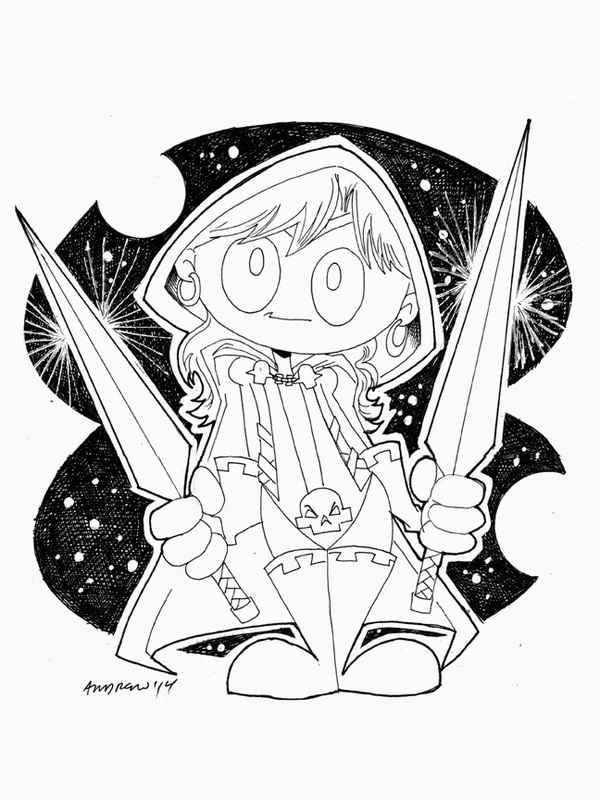 Sketch 049 of 100 is Astra, the fifth commission sketch for a Star Wars RPG characters. 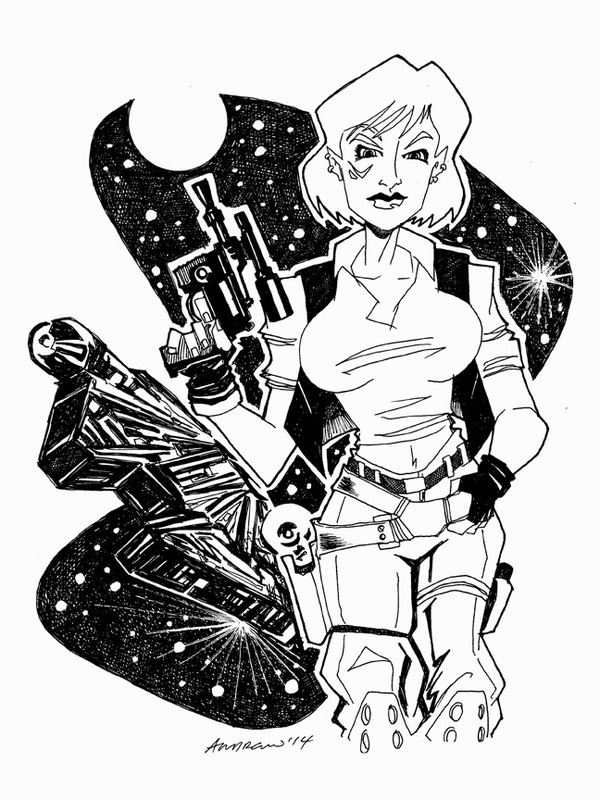 Astra is a Arkanian Off-Shoot Smuggler who flies a YT1300 (just like the falcon). Sketch 048 of 100... JLU's Green Arrow! Sketch 047 of 100... The new JLU's Supergirl. Sketch 046 of 100... 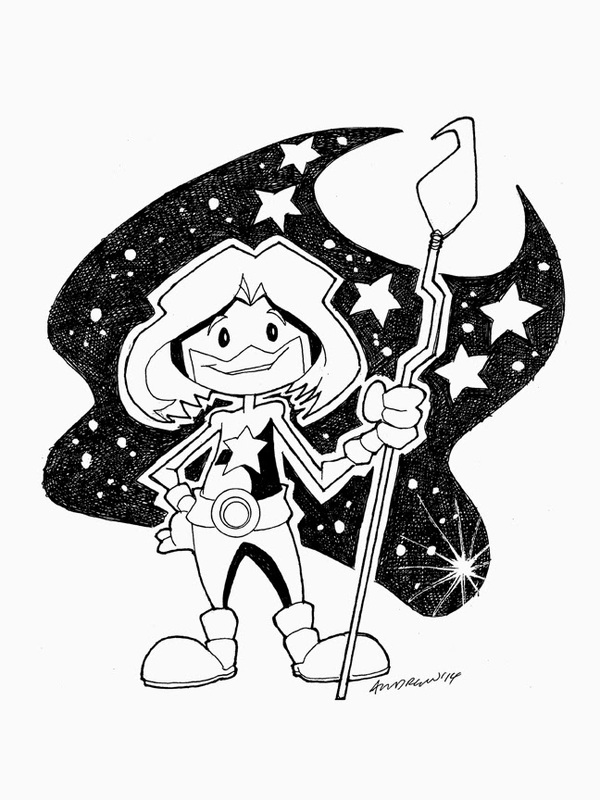 The new JLU's StarGirl. I recently picked up the blank cover of issue one of JLU and have an idea of for a sketch on it... more coming soon. 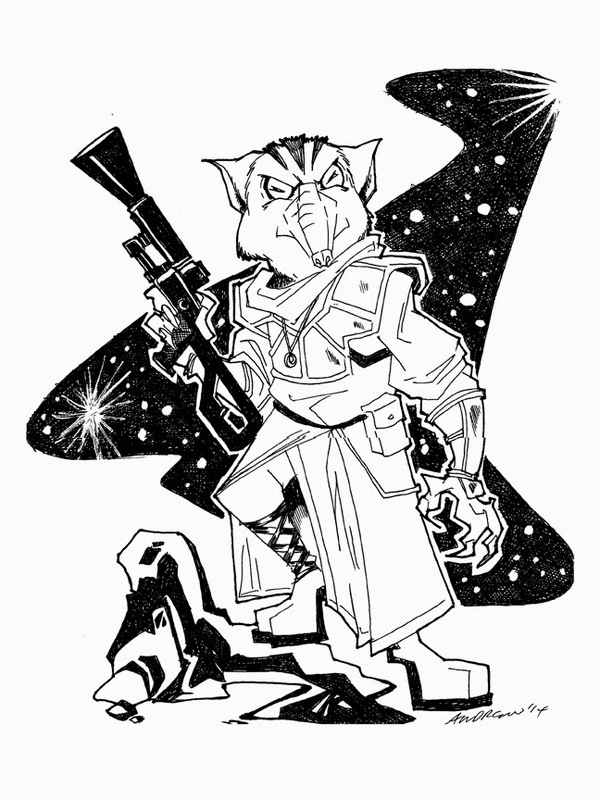 Sketch 044 of 100 is Nar'gos A'kla, the third in the series of Star Wars RPG sketches. Nar'gos is a Caamasi Bounty Hunter who uses an Ion Blaster. 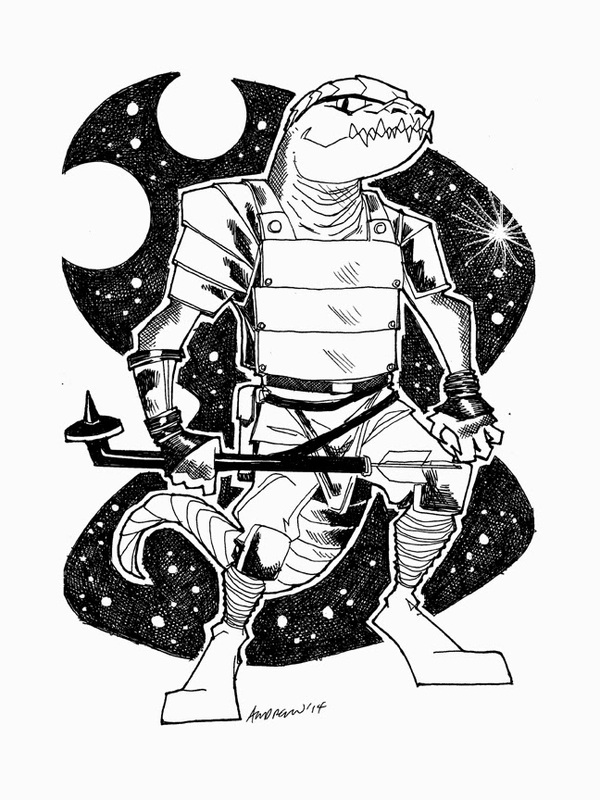 Sketch 043 of 100 is the 2nd in my Star Wars RPG series... Terak Scarbradine, the Barabel who uses a Gaffti Stick. Sketch 042 of 100 is a couple of characters from the Star Wars RPG named Ryth'fan'sil'axis and N008-80T. Ryth is a Squib and N008-80T is a home-made IG-88 droid. 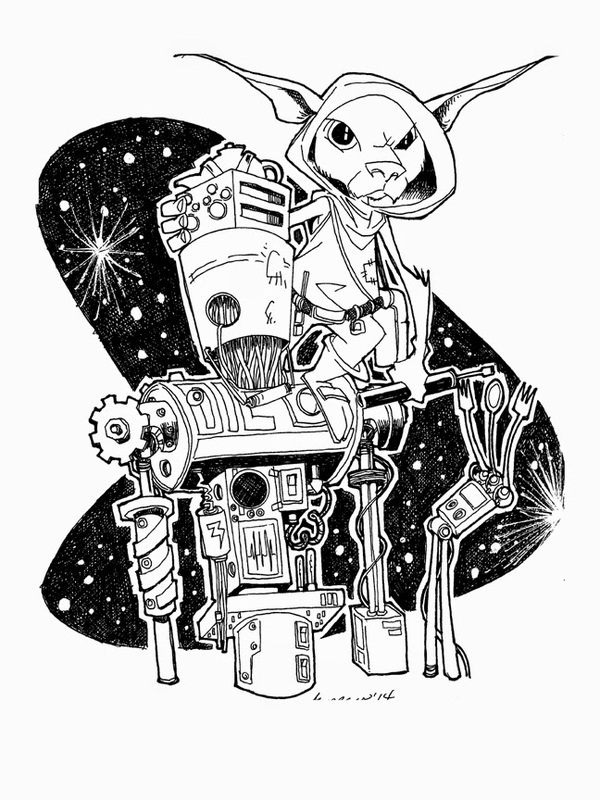 They were described to me as "the scared bunny race character who rides 'Master Blaster' style on an IG unit that he built from spare parts and forks." This was a commission request (one of 5) so there will be more coming soon. 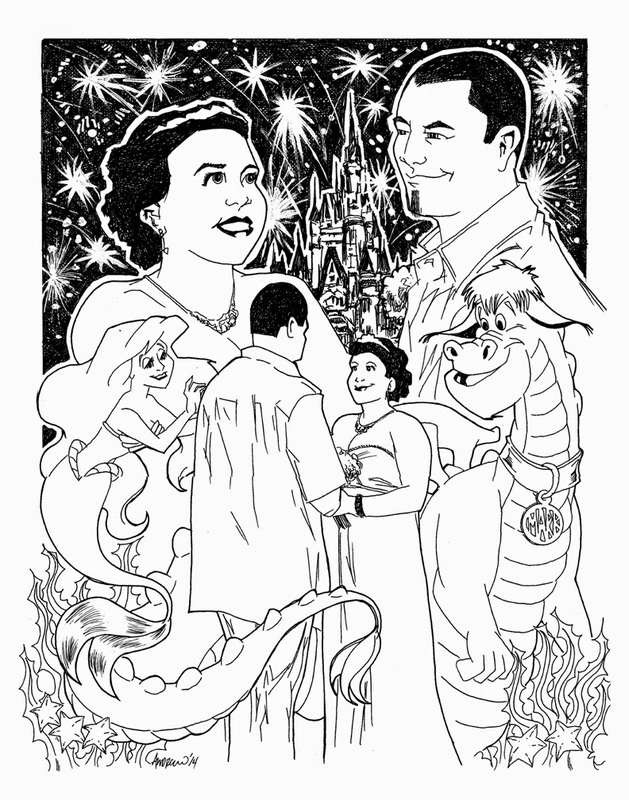 Sketch 041 of 100 was a Wedding Gift I did for my sister and my new brother-in-law. There is a bunch of symbolism and references in this picture that have a lot of meaning for both of them. Sketch 040 of 100... A New Hope! 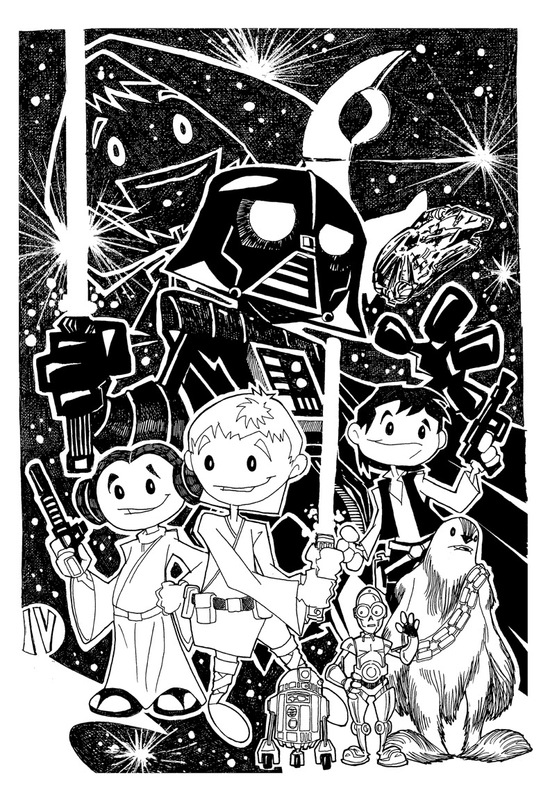 So what I did was put all 6 of my smaller 'kid-friendly' sketches together into one 11x17 image... and here it is. 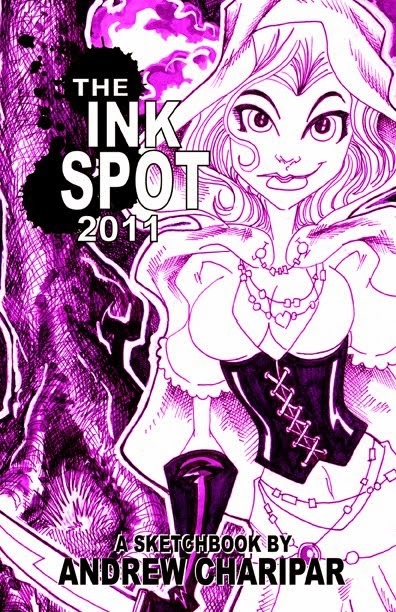 I loved doing it and not only will I be making it into a print but I'm starting plans on the next one.... oooooh, yeah! 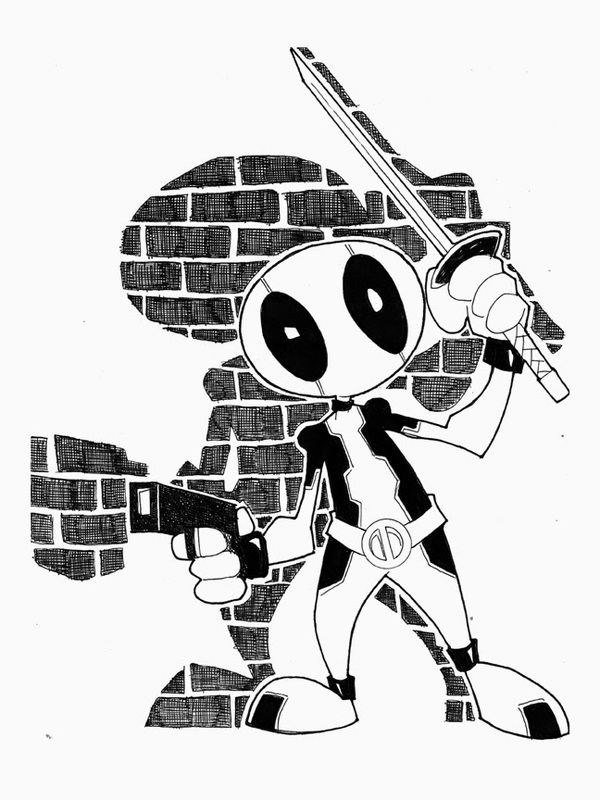 Sketch 039 of 100 is Deadpool (again)! 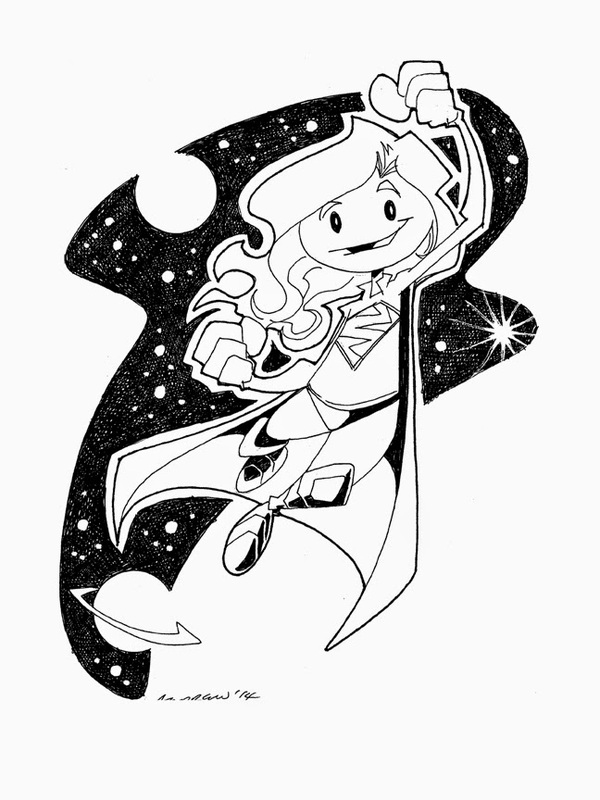 Sketch 038 of 100 is Gamora. 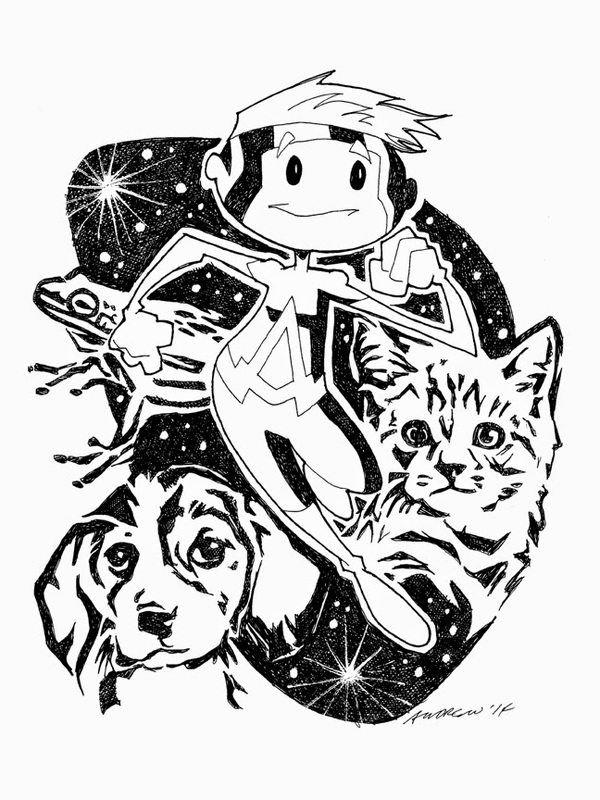 This is 17th in my 'kid-friendly' series and the 2nd in my Guardians of the Galaxy theme. Sketch 017 of 100... Dr Who! 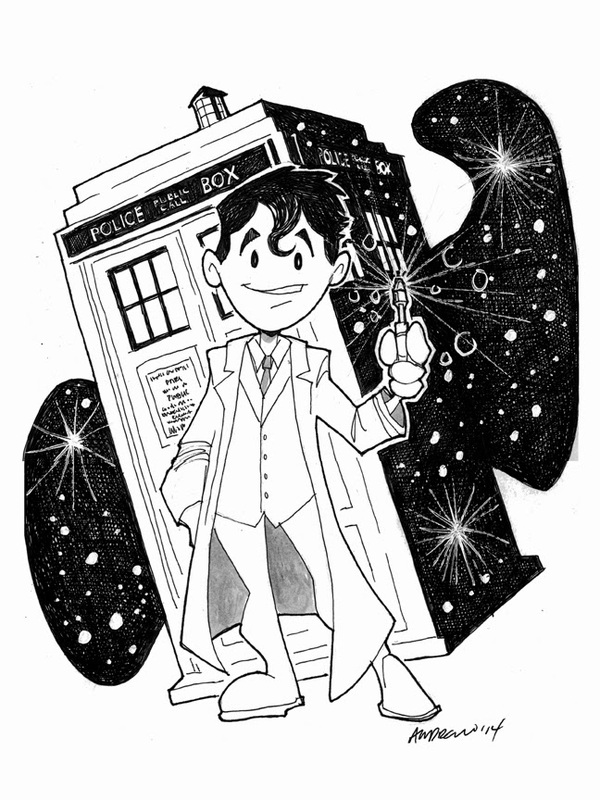 This one was for a friend's daughter who really like Dr Who (especially the theme music). This was actually the third in my 'kid-friendly' sketches and the first to inspire my on going theme... much more to come. 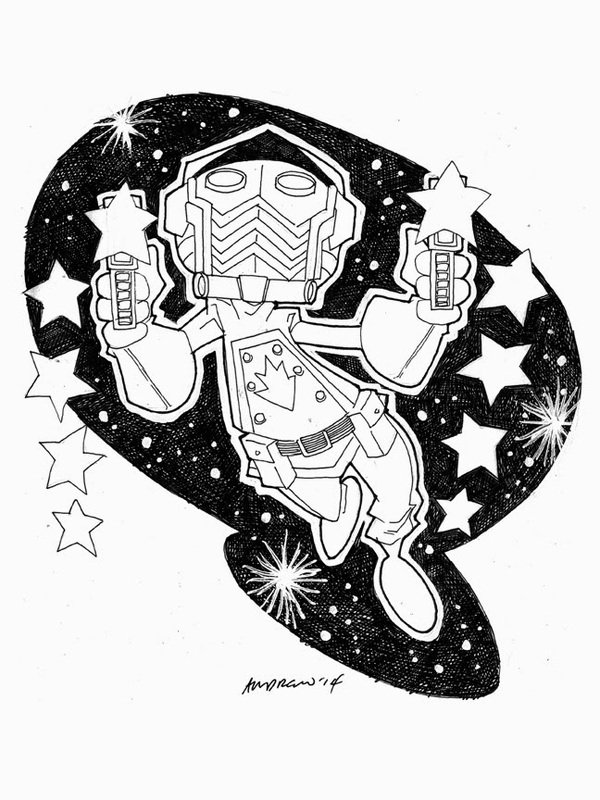 Sketch 037 of 100 is Star-Lord from the Guardians of the Galaxy! This is the 16th in my 'kid-friendly' series and the first in my GotG Theme. 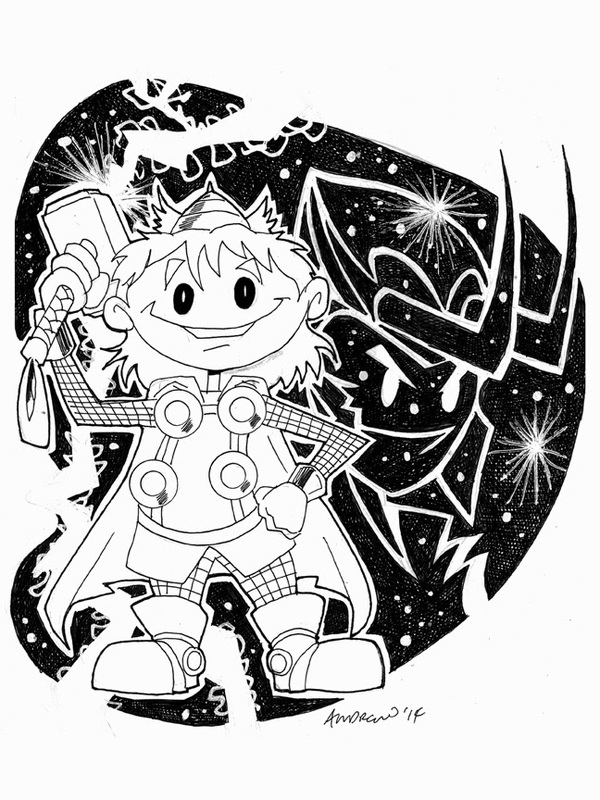 Sketch 036 of 100... Thor! This is the 15th in my 'kid-friendly' sketches and the 3rd in my Avengers theme (with Cap and Hulk). 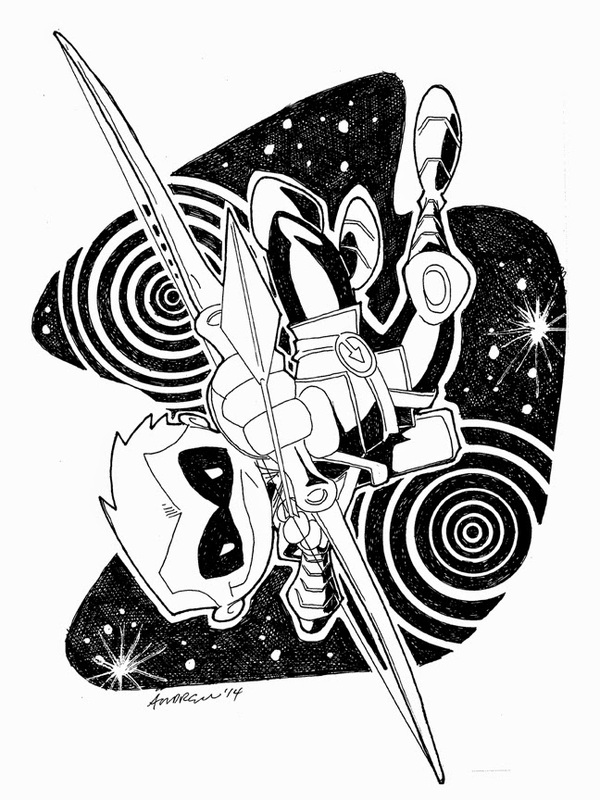 Sketch 035 of 100... Hotshot! 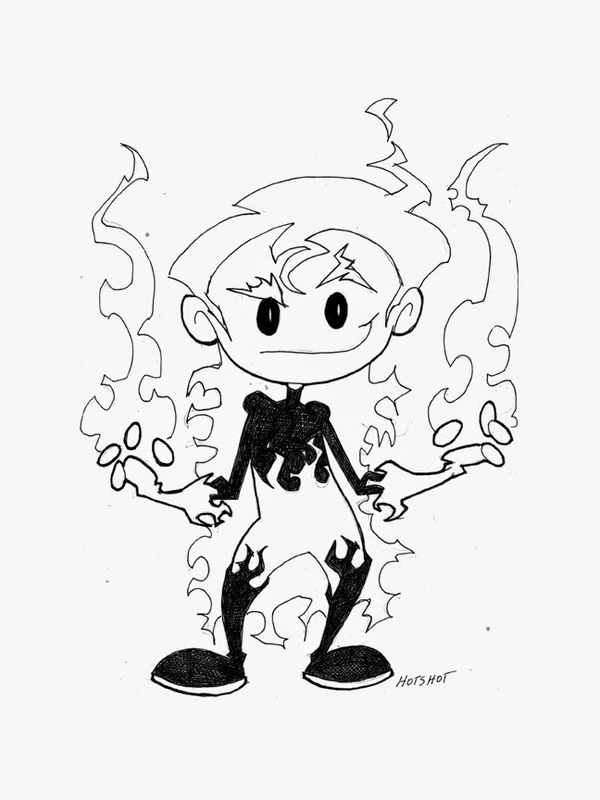 Introducing Hotshot, the hot-headed spitfire member of a yet-to-be-named group of super-heroes. Created by me and based on an idea by Avery Butterworth and myself. 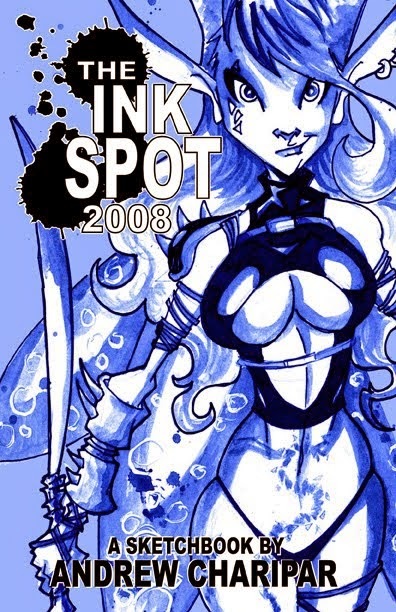 She is drawn in my 'kid-friendly' style but she's far from it... this one's got a bit of a potty mouth on her as well as a world class temper. More coming... one of these days. 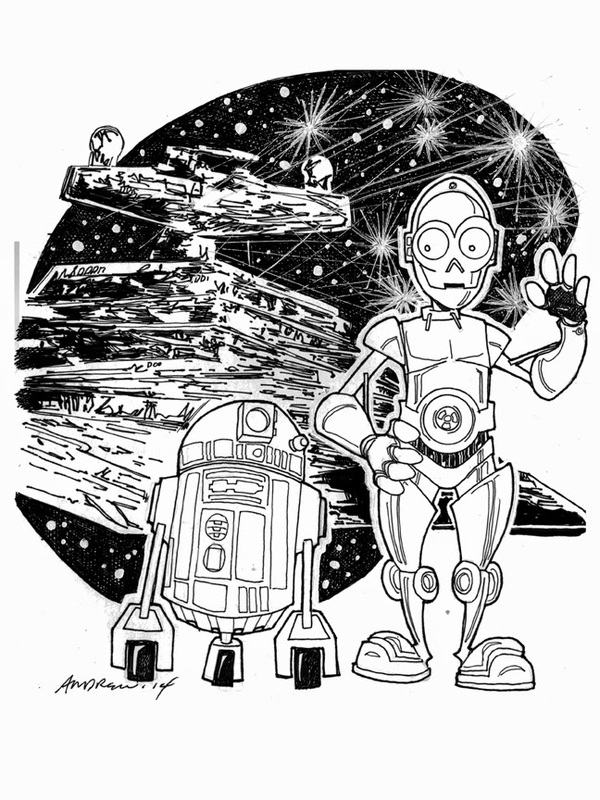 Sketch 034 of 100... R2-D2 and C3-P0. 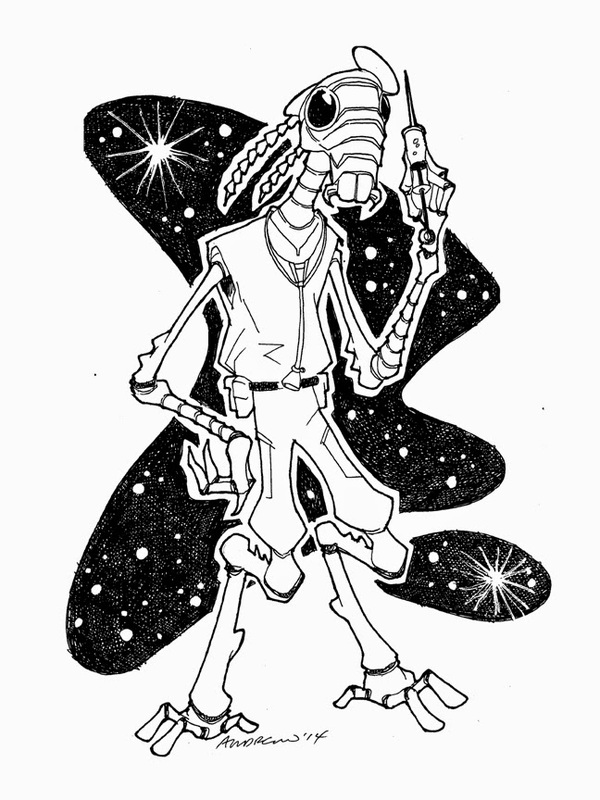 This is the 14th in my 'kid-friendly' sketches and the 6th in my Star Wars theme.